We have all heard a lot about “forging a career” and “choosing the right path”, but it is difficult to know what this really means for you. One thing is certain: a career is not what it used to be. GetSmarter’s 2014 Career Guide is a practical resource to build your confidence in developing an ambitious and realistic career action plan, and take your career into your own hands. 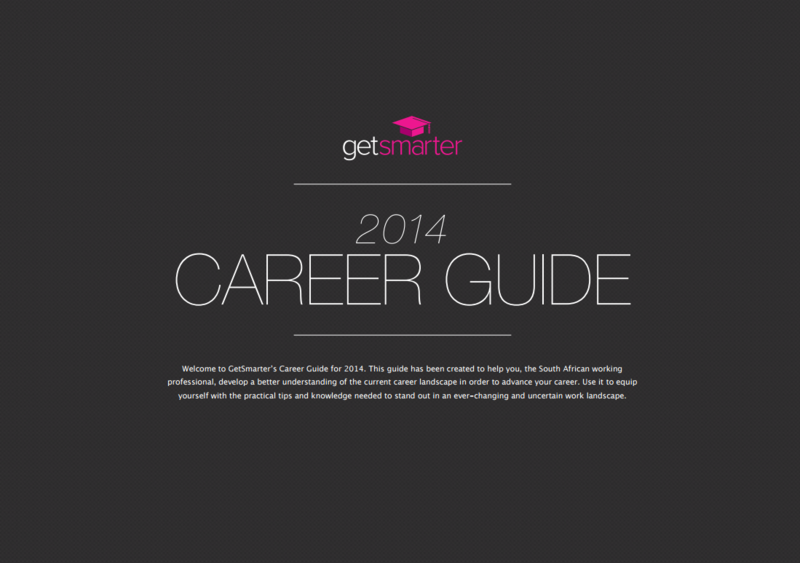 Click on the image below to download your free copy and take charge of your career in 2014, step-by-step. Ready to take the next step in advancing your career?